Post Lost spoilers & I will come to ur house, stop up ur toilets, let ur dog out onto the street, & erase ur DVR settings. I mean it. @fotomaven No. I don’t drink either. 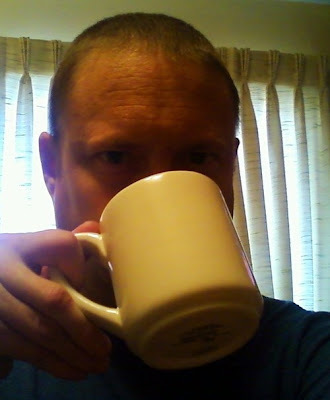 In my mug you will find horrible tasting water. In its defense, however, it’s gin. When Tweetdeck gives me a Mention without the little ‘chirp’ sound I feel cheated. I want to thank the lovely and talented Kathy Richards for the opportunity to make a guest blog post here. I enjoy reading this blog and the positive spin it takes regarding God. It has inspired me to revisit a subject many non-believers use as a crutch when they think of the world as we know it: evolution. 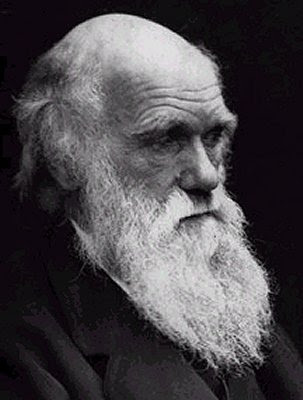 Darwinian evolution was an unguided, unplanned process of random variation and natural selection. However, evolution via random and gradual mutations can’t explain some very complex biological systems. Contrary to Darwinian evolution, it appears (and is widely accepted by scientists), that biology itself shows signs of a “designer.” This deduction is arrived at via design deduce of the physical structure of a system. Irreducible complexity contradicts the premise that evolution could operate slowly and gradually one mutation at a time. An irreducibly complex structure cannot evolve that way, for this simple reason: you have some system and it has a number of parts and they act on each other and they are all necessary for the function to exist. You take away one or more of the parts and the function is no longer present. Think of it this way, and by example, the mousetrap has various parts: a spring, a wire hammer, a catch, a board that holds it all together. Take away any part and you have a meaningless and purposeless collection of parts. There is no way that it could slowly evolve into that complexity. Another example is a bacterial flagellum. The flagellum is a whip like propeller that a bacterium spins to move. Any part of the flagellum apparatus, without all the rest, is purposeless. Like a mousetrap without one of its necessary parts, this one would be broken as well. Critics and militant atheist’s responses to irreducible complexity are wishful thinking. They argue that someday they will be able to explain them by random events and such will contradict the designer postulate. Nevertheless, they continue to make grand Darwinian claims as if this evidence already had been discovered. Such claims are urban legends. Evolution can explain many things, but not everything. I believe in multi-verses; worlds without number and without end, each of different degrees of glory and far more glorious than that in which we reside. How utterly horrible would it be, to believe that Life begins, and has its ending, in this temporal sphere. I believe in an Intelligent Designer. One who has my best interest at heart, if only I have Faith. And yes, my faith has evolved. But that is a discussion for another time. To read more from Rob Johnson, visit him at Rob from the Internet and follow him on the twitter at @InkPanther.